We recently told you about our exclusive 30th Anniversary Partner Promo with Weller. 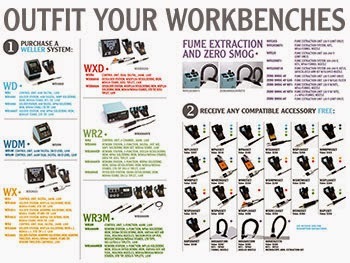 You can also save even more on Weller products with their "Outfit Your Workbench" FREE accessory promo. 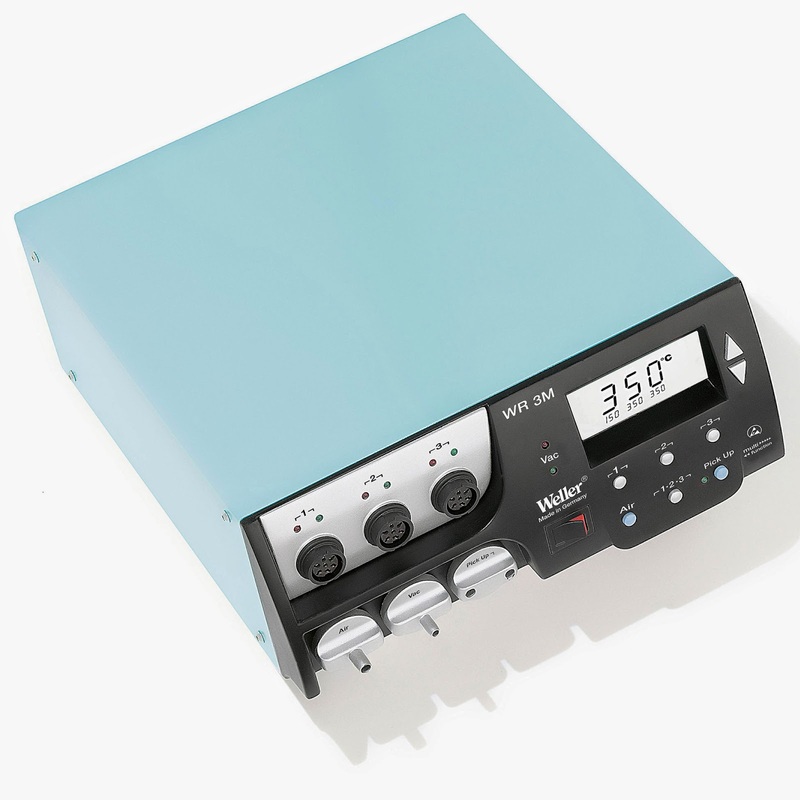 Running until April 30th, 2014, this promo offers a FREE Weller accessory with the purchase of eligible Weller Soldering, Desoldering, and Rework Stations (see below). All you have to do is buy a qualifying station(s), choose one accessory for each station purchased (you may mix and match by choosing a different accessory for each station), fill out all fields on the redemption form (downloadable mail-in redemption forms are available on the 30th Anniversary Partner Promo landing pages of each eligible station at QSource.com or by following the link), and email or fax the completed form WITH a copy of your distributor sales invoice (the invoice must be dated between Feb. 3 and April 30, 2014). Redemptions must be postmarked within 30 days of the distributor invoice date and emailed to: Weller-NA@Weller-Tools.com or faxed to: 919.387.2639. 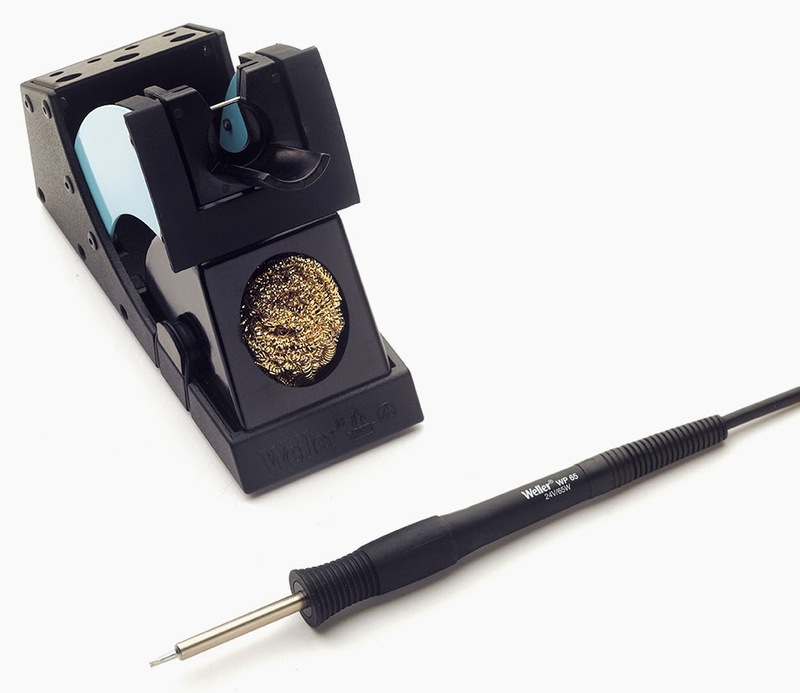 Don't let this chance to save on Weller's latest soldering technology and accessories pass you by. Visit QSource.com today to make your purchase and download the Outfit Your Workbench redemption form. For questions and additional information please contact us via phone (800-966-6020) or email.